Minister of the Lands, Housing and the Environment, Dr. Denis Sandy has warned that if human activities seriously affecting the environment are not curtailed the environment would soon manage them in negative ways. He described the conference as the first ever in the 21st century to be organised in the country, adding that it seeks to find ways to protect the environment for the next generation. Dr. Sandy noted that climate change is real and that other countries across the world are already putting modalities in place to address climate change, but Africa still lags precariously behind. He said Sierra Leone needs to be pro-active in addressing environmental issues in the country to further avoid disasters like mudslide and flooding. The minister said rampant disposal of plastic wastes across the city pose danger to the environment, while the rate of deforestation is worsening in the country, adding that the issue of access road is also becoming serious. On his part, Minister of Agriculture and Forestry, Joseph Ndanema noted that his ministry is inextricably linked to land and the environment as a whole, with Sierra Leone being an agrarian nation as approximately 70% of its citizens are engaged in some form of farming. He said Sierra Leone has lost a significant proportion of its primary forest with severe negative effects such as the devastation caused by the mudslide of August 2017. He said the forestry division in the ministry has the responsibility to sustain and restore the forest ecosystems, adding that over the years weak policy implementation and inability to introduce innovation to manage the sector have rendered the division ineffective. Ndanema said they were committed to promoting, preserving, sustaining and maintaining the environment, adding that plans are underway to deploy appropriate innovations and technologies to actualise their commitment to preserving the environment. In addition, Minister of Tourism and Cultural Affairs, Mrs. Memunatu Pratt said that the conference will serve as a platform for all stakeholders to elicit policy and programmatic discussion, establish taskforces, and come up with innovative and practical solutions around environmental management to accelerate socio-economic transformation in the country. “We need to preserve the world’s inherent assets for future generation. It is becoming an essential goal not only for travel and tourism but also for all other industrials that used the earth’s natural resources,” she said. Mrs. Pratt said climate change is one of the single greatest challenges facing the world in the 21st century and that it is a matter of life and death for Africa, adding that everybody has experienced the devastating and unprecedented impacts of climate change on lives and livelihoods as well as national economies. Meanwhile, European Union Ambassador to Sierra Leone, Tom Vens said most of the people at the conference understand that climate change is the greatest environmental challenge facing the world. He said the EU has been taking action, adding that 2020 strategy supports the shift towards a low-carbon, resource-efficient economy with targets for reducing greenhouse gas emissions and increasing the use of energy from renewable sources. Ambassador Vens revealed that the first EU strategy for plastics in a circular economy was adopted in January 2018, and that plastic is an important material in the economy and modern daily life. He said waste management in Sierra Leone, especially plastic waste, is an area where they should together quickly find better solutions, adding that Sierra Leone should think about joining other African countries that have banned the use of plastic. Also speaking, Nigerian High Commissioner to Sierra Leone, Dr. Ibrahim Habiss Ugbada said for the country to achieve environmental protection, government needs to wage war against indiscipline. 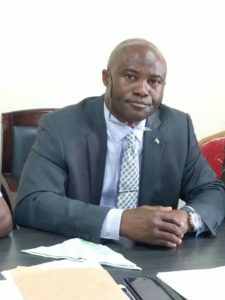 Dr. Ugbada said the government needs to curb corruption and indiscipline and by so doing change the mindset of Sierra Leoneans, emphasizing that environmental change for Sierra Leone should be now. In his keynote address, Deputy Minister of Planning and Economic Development, Dr. Robert Tamba Michael Chakanda said Sierra Leone remains within a static geographical border, yet its cities and towns continue to grow. He said the conference, like that on global and national environment issues, cannot end with only plastic and solid wastes, adding that human activities such as improper land use planning, deforestation, land and wetland overuse, all put together, lead to all sorts of degradation, physical alteration and destruction of habitats, energy poverty and host of other environmental management problems.